first of all please be patient of my bad English. Just a couple weeks ago i bought an Archos 101 Neon. Everything worked fine. Once a day it started freezing a bit. So i decided to set it up to factory settings by following that procedure showing on the official website of Archos (http://www.archos.com/faq/index.php?action=artikel&cat=186&id=272). I observed the steps exactly and everything worked fine. Success - No problems yet. The tablet worked as good as before. Really everything but... If i want to set my device into standby by pressing shortly the power on/off button it turns off. It takes ca 2-3 secs and i recognize a quite noise. It´s not possible to wake the device up. But i found out something interesting: Before the whole system is booting up (e.g. loading the whole apps etc.) it is possible to set it in standby and wake up but only once. So i can use my tablet whole day. But i have to watch before standby :-(. Maybe you have an idea or could help my to solve my problem. Thanks and regards from westerns Germany. I have no experience with the Neon and this problem seems a bit unusual. What happens if you plug in the charger after the tablet has been turned to stand by ? first of all thank you for your suggestions. Unfortunately I have to inform you that it doesn´t matter if i let the charger in or plug it in while standby, neither I wait until time period let it set to standby. Wifi is still connected but I am not able to comprehend if Wifi is still connected in standby. 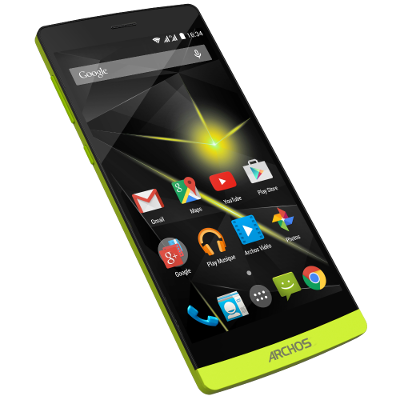 But I had a great conversation with the support team of Archos. Two days ago I´ve called first time. The employee on the telephone asked me which problem I have with my tablet and when it began. He decided me to wait one or two days so that his colleague from the technical support will call me back. Two days later his colleague called me back and had great news for me. The Image I´ve installed on my tablet was not the factory image, it was an update. And this update has a bug. The developer detected it a few days before and now they want to delete it from their support page and will load up a newer one without that bug. He said it may take a few days until i will be able to download the new one. But in anyway I am very thankful that you spend your time trying to help me. P.s. : Is my English very bad or isn´t it? I have the same problem with Archos 101 Neon. how do you fix your problem? Do you still have the original rom that you have mentioned? Everything that i have trid was faiiled. for the moment only use of this tablet is to watch videos on tv.